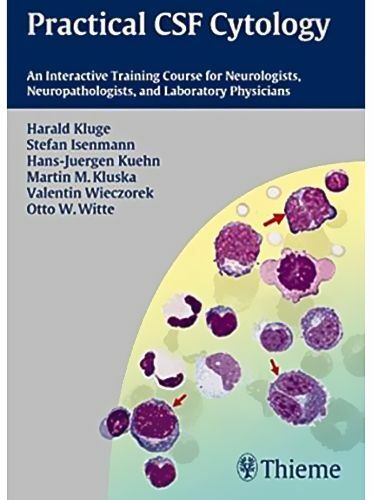 This CD-ROM contains a training course for cerebrospinal fluid CSF cytology education, both for novices and for more experienced trainees. The introduction is followed by a section containing 18 composite figures, with relevant and representative educational examples, all of which have extensive legends. The third section contains questions in a quiz format, where CSF cytology slides are presented and a list of five possible answers given for each. Answers include categories such as cell populations, clinical conditions/CSF syndromes, artifacts, and bacteria; only one answer per question is correct.